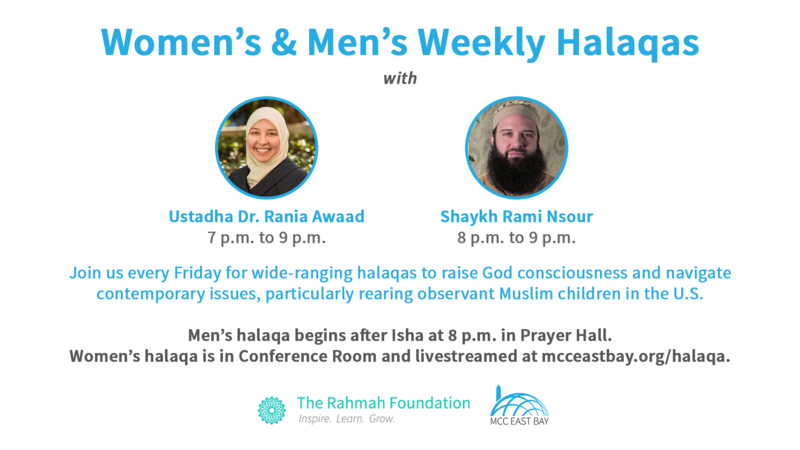 Every Friday evening, MCC hosts halaqas aimed at increasing God consciousness for women and men. From 7 p.m. to 9 p.m., join Dr. Rania Awaad's women's gathering about navigating contemporary issues. 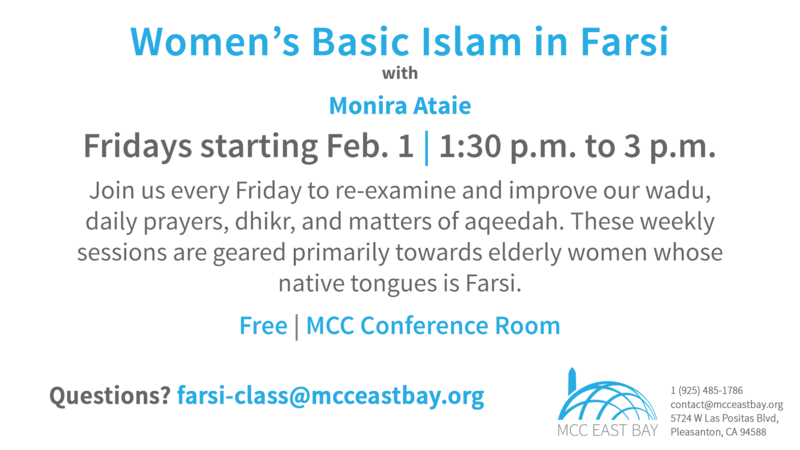 This wide-ranging Muslimah halaqa is in the MCC Conference Room. Shaykh Rami Nsour's men's gathering starts after Isha (8 p.m.) in the Prayer Hall.